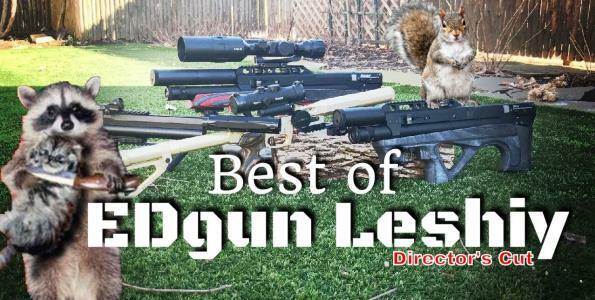 Pound for pound, the EDgun Leshiy is the greatest airgun of all-time! Chances are, if you’re visiting this site, you agree with me… if not, here’s how I came to that conclusion (Making the argument that the EDgun Leshiy is the greatest airgun of all-time!). 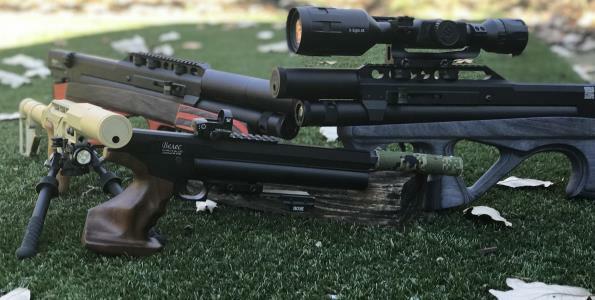 Within this site you’ll find great airgun hunting articles, pest control videos, EDgun Leshiy modification guides, airgun tuning advice, and gorgeous photos of the EDgun Leshiy. 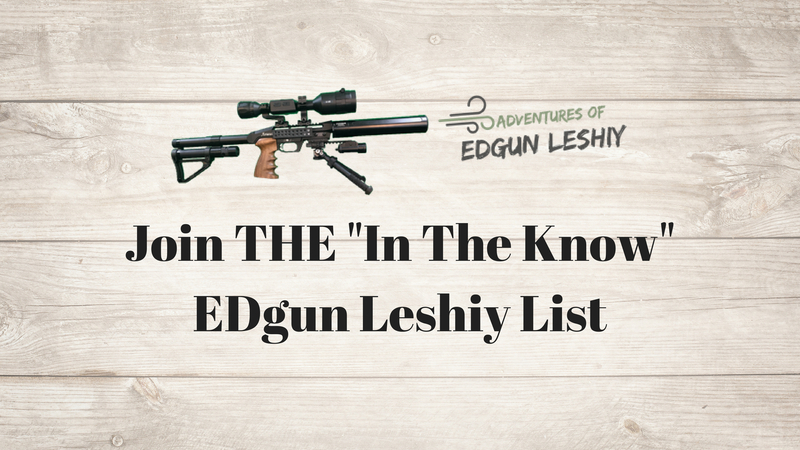 Make sure to checkout the EDgun Leshiy contest page for chances to win cool airgun related items from friends of the Leshiy! The EDgun Leshiy is the dream airgun for the EDC guys and gals. 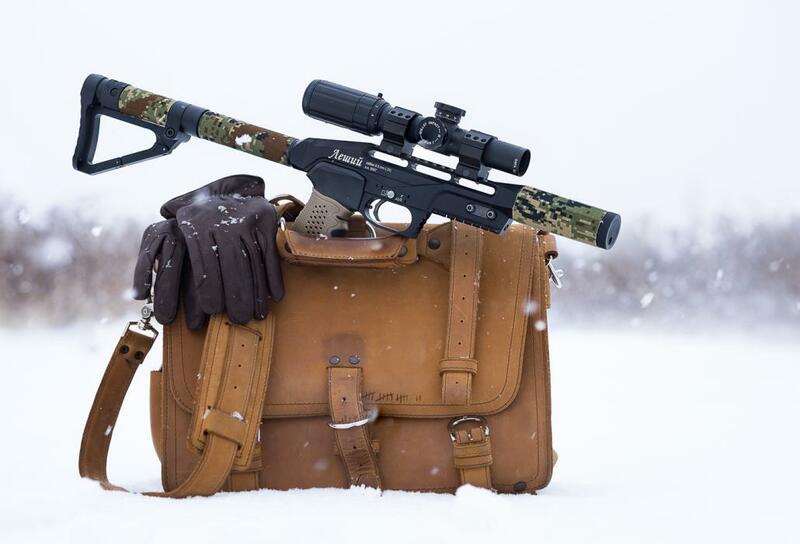 Out of the box you get this tiny backpack friendly airgun with an enormous amount of tuning flexibility to fit your needs. 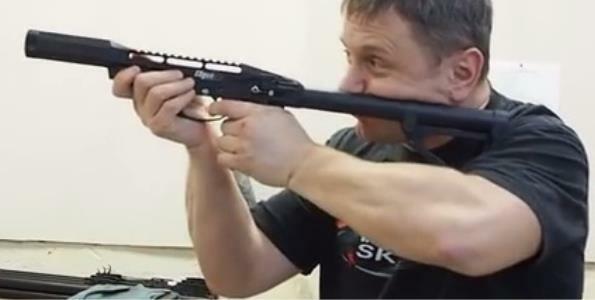 The EDgun Leshiy ticks every box! That's just the beginning though. The rails and 3rd party products available are sure to capture the hearts (and wallets) of the Everyday Cary minded air gunner. 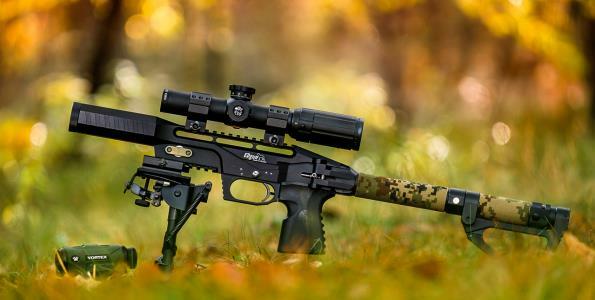 It's not cheap making this gun your own, but it sure is fun! Take a look at my favorites... happy spending!! Join our FREE "In The Know" List to get insider Leshiy news from the mother ship, cool new products, alerts, and enter our periodic sponsor giveaways! Silent Overkill was born out of a specific need, and a constant desire to tinker. The story starts with a rat, and ends with a beautiful, and very quiet version of the EDgun Leshiy. Read the full story, and more adventures of the EDgun Leshiy. The Leshiy has been a fantastic shooter with both the 250mm and the 350mm barrels in .25 One hole groups are not unusual. The adjustability is fantastic for meeting the requirements of various situations. I have mine set up for 54 foot pounds (@ the muzzle) with JSB Exact, King Heavy 33.93 grain. pellets.. This should do well for the next nosey coyote that comes sneaking around the house. Has become my favorite shooter out of 40+ guns. 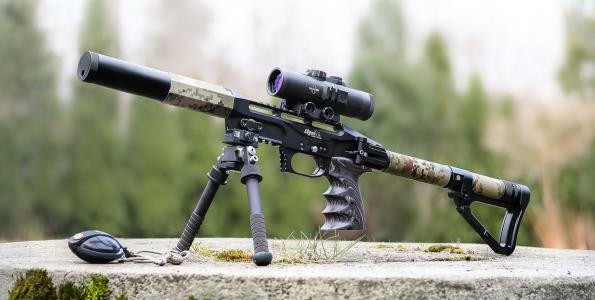 It's a amazing pcp rifle first time to the woods squirrel hunting seen one up in tree, not sighted in for that distance aimed high and missed!!!! Being a moderator in front of the barrel the squirrel didn't jump so reload with another and out it came!!! Ranged the distance at 57 yards head shot. Love the Leshiy !!!! Even got the 350 mm barrel for it too !!!!!!! 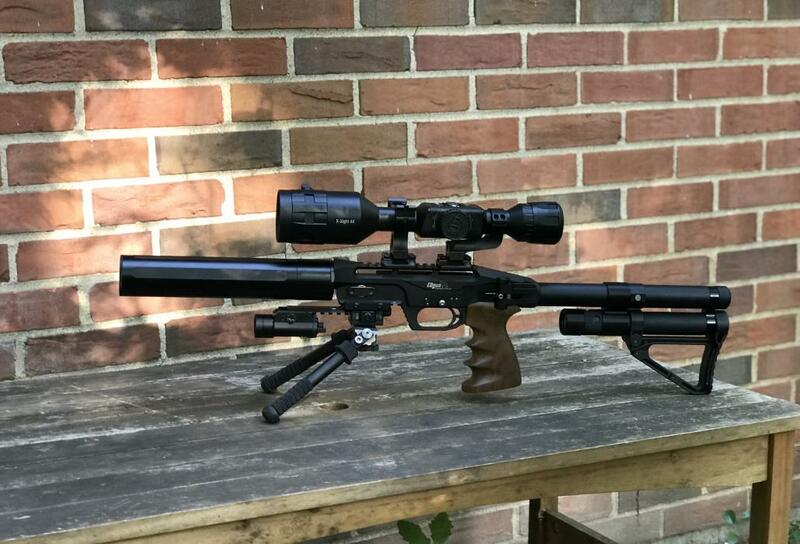 The EDgun Leshiy is one of the, if not the most innovative airgun to come on the market in recent memory. The build quality is top notch with many ingenious engineering features built in. 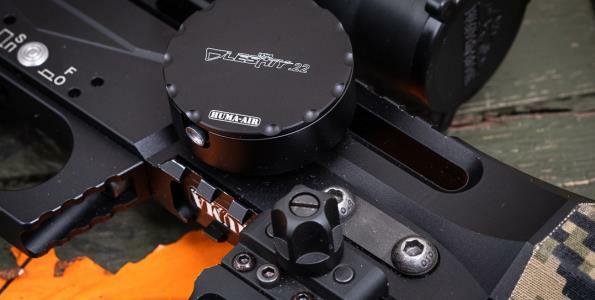 High accuracy, portable, ability to change calibers and power settings, quiet, the list goes on. My most prized airgun of the over 20 in my collection. Very accurate, very light and love that I can change calibre in 30 seconds.